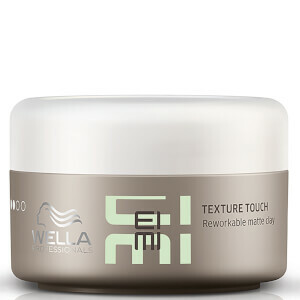 Create distinctive styles with this flexible Grip Cream from Wella Professionals, a brand with a passion for delivering innovative and creative hair care products. Suitable for both men and women and long or short hair. Formulated with Brazilian carnauba wax for strong support, this soft textured cream can be shaped and sculpted to suit individual style preference. Aplique uma pequena quantidade nas mãos. Aplique no cabelo seco desde o meio do comprimento até às pontas. Penteie ao seu gosto. Aqua, Petrolatum, Ceteareth-20, Cetearyl Alcohol, Pentylene Glycol, Ceresin, Ceteareth-25, PVP, Copemicia Cerifera Cera, VP/VA Copolymer, Phenoxyethanol, Squalane, Panthenol, Parfum, Methylparaben, Sodium Benzoate, Propylparaben, Disodium EDTA, Ethylhexyl Methoxycinnamate, PEG-90M, Limonene, Linalool, Benzyl Salicylate, Citronellol, Hydroxycitronellal, CI 19140, Hexyl Cinnamal, Citral, CI 14700, BHT.